it has been a tradition maintained in this website not to quote name of any person who are helping in this website .We are really grateful to Shri Dujariji and the persons at Gorakhpur for providing audio speaches of Bhaiji for uploading .Bhaiji gave these speaches in his life time when social conditions were quite different . 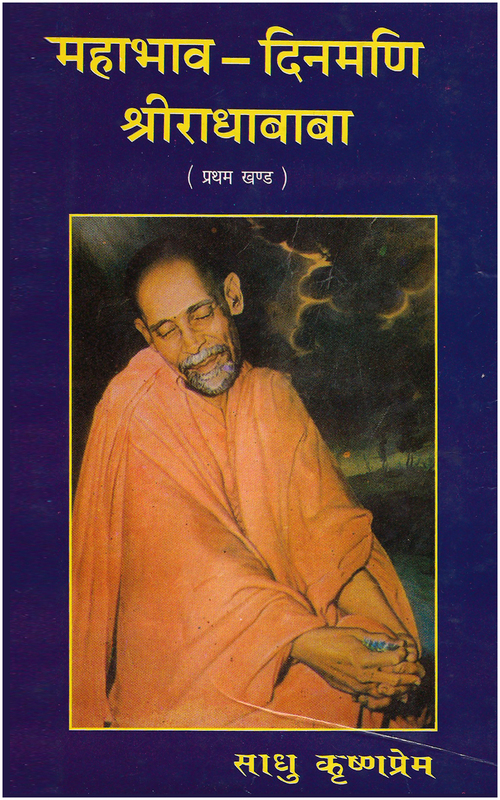 But his conviction towards Bhagwan and bhakti is like the Himalaya .It is my firm belief that by listening these audio ,we shall definitely be more close to Bhagwatkripa.All sincere devotees should try it. He is like the sun of Spirituality and still we can get benefit from reading,listening and be physically present in his Samadhi.Geetavatika gorakhpur ,a place which is still enlightened with spirituality. This website does not endorse any one as spiritual successor of Radha baba and bhaiji because they never did it in their lifetime. But Baba also told that the Samadhi of Shri bhaiji is spiritually charged place and those who wish to follow these saints can go , worship ,meditate and pray at that place where samadhi of radha baba is also available. The samadhi of bhaiji and baba will definitely bestow upon us the devine grace. bhaiji was a great poet , shodash geet are the great spiritual songs written by bhaiji and sung by different people. 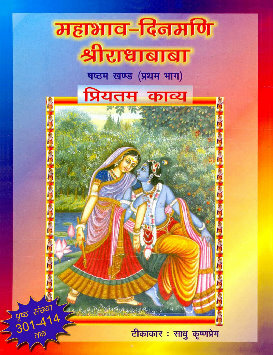 recordings by sadhu krishna prem is available in shodash geet. links of youtube.thank you for your taking interest. radha baba and bhaiji were real spiritual personalities ,very rarely such people come in this world. you listen to his audio speaches,he was wonderful. the great thing was that he was a religious leader at his time because of being the editor of kalyan and geeta press,but inside he was a very mild personality who was true saint .He had highest attainment in bhava sadhana. radha baba was initiated in krishna bhakti by bhaiji and radha baba treated him always like guru. the purpose of this site is ,we can turn a single soul in the way of krishna bhakti, it will be fulfilled. such great purpose was also with geeta press.no money, no fame . and next are not available. Is there any possibility to make these audios available. Prabhu, these parvacants are amrits to listen. Pujya Goswamiji, Aapke Paawan Charno mein saadar naman. Aapke is Paawan prayas ne Mera jeewan Bhagwan ke Charno mein laga diya hai. Isliye aapki main hamesha rini rahungi. Mujhe Bhagwan Shri Krishna ki Baal Lilayein sunane ka bahut Mann hai par 4shared.com 22 no ke baad ki audio speeches nhi khulti. Kripya batayein ki Kya kiya jaye. I AM VERY MUCH INSPIRED FROM BHAI JI SHRI HANUMAAN POUDAR RACHIT PADRATNAAKAR ULTIMATE . I WANT ALL THE BHAV PAD MP3 FORMET WITH MEANINGS .SOME OF THEM I CAN UNDERSTAND BUT SOME ARE NOT PLEASE HELP .